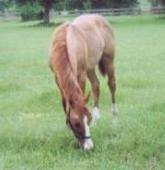 Cutters Hot Pursuit: AQHA Yearling Red Dun Colt who is a Grandson of Bill The Cutter and Doc O Lena. He has Poco Lena, Doc Bar, Doc O Lena, Leo San, Cutter Bill, Bill The Cutter and more on his papers. 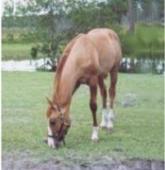 He has Poco Bueno, Leo, Hollywood Gold, Otoe, Blondys Dude, Gay Bar King, King, Grey Badger III, Billie Silvertone, Buddy Dexter, and more on his extended pedigree. Cutter is easy to handle. 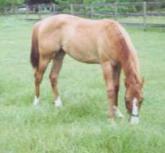 Leads, ties, stands for vet/farrier, loads, trailers, loves to be groomed, gets along with other horses, dogs, and more. 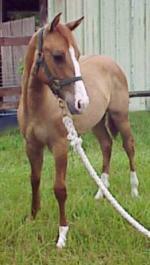 Click here for more quality horses and ponies like this fine AQHA Red Dun Colt.